We asked IndieWire readers to share their favorite movies in the Criterion Collection, and these were the 10 most popular titles. Editor’s Note: This article is presented in partnership with FilmStruck. Developed and managed by Turner Classic Movies (TCM) in collaboration with the Criterion Collection, FilmStruck features the largest streaming library of contemporary and classic arthouse, indie, foreign and cult films as well as extensive bonus content, filmmaker interviews and rare footage. Learn more here. Last week, IndieWire asked our readers to name their favorite movies in the Criterion Collection, which resulted in hundreds of responses that pretty much covered every nook and cranny of Criterion’s massive library. It was great to see many readers listing dramas as diverse and polarizing as Robert Altman’s “3 Women,” George Sluizer’s “The Vanishing” and Fritz Lang’s “M,” but at the end of the day, our survey revealed which 10 titles our Criterion subscribers can’t get enough of. An intriguing mix of reliable film landmarks and a few surprises, below is our definitive readers list of the 10 most beloved Criterion films. Many of these titles are now available to watch on FilmStruck. Perhaps the most obvious entry on the list, “Mulholland Drive” continues to dominate one poll after the other. It was named the greatest film of the 21st century by the BBC over the summer, and it’s yet again on a list of the best Criterion films here. A fever dream of a movie set in Los Angeles, “Mulholland Drive” spins an endless mystery of dark Hollywood satire and identity crisis horror. Its web of ambiguity is so thick that it’s impossible not to get lost in it. Expect it to be on this list for decades on end. Available to watch now on FilmStruck. No personal Criterion collection is complete without Akira Kurosawa’s three-hour epic “The Seven Samurai.” Starring the legendary Toshiro Mifune and Takashi Shimura, the story follows a ragtag group of warriors who assemble to protect a village from invading bandits. American remakes like “The Magnificent Seven” have tried and failed to do what Kurosawa perfects here, and that’s the blend of action and philosophy that makes “The Seven Samurai” a rare kind of stimulating, thinking man’s epic. Available to watch now on FilmStruck. 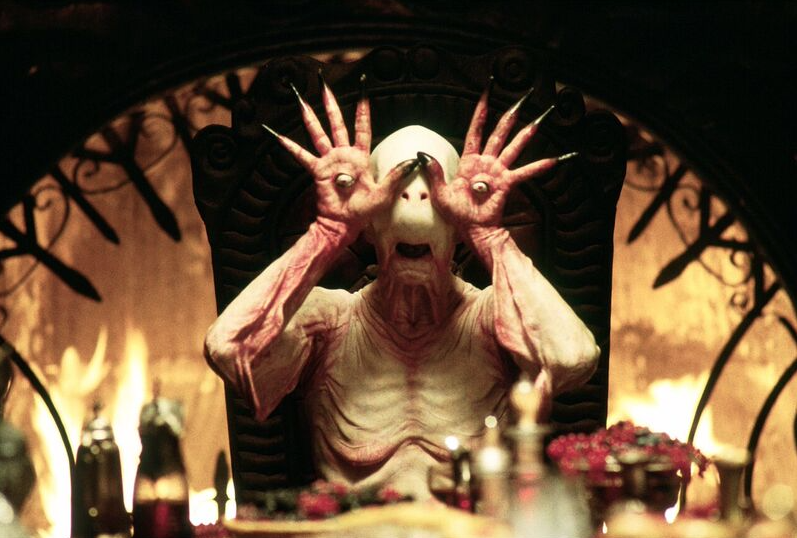 A very recent addition to The Criterion Collection, Guillermo Del Toro’s visionary fairytale “Pan’s Labyrinth” has skyrocketed to the top of Criterion’s most popular titles in just the first month of its availability. Credit del Toro’s masterful blend of adult drama and childhood fantasy, as the horrors of the Spanish Civil War threaten the young Ophelia’s innocence and awaken her imagination in ways both terrifying and unimaginably beautiful. And then there are those eye-popping creatures, two of which are now timeless cinematic creations (thank you, the faun and the Pale Man). The Criterion Collection is known for its love of film noir, which makes Charles Laughton’s “The Night of the Hunter” a no-brainer when it comes to the library’s most beloved titles. Robert Mitchum’s reverend-turned-serial killer oozes nefarious charm at every turn, and his motives to marry a lonely widow and steal her fortune allows “Hunter” to effortlessly walk the line between noir and horror. 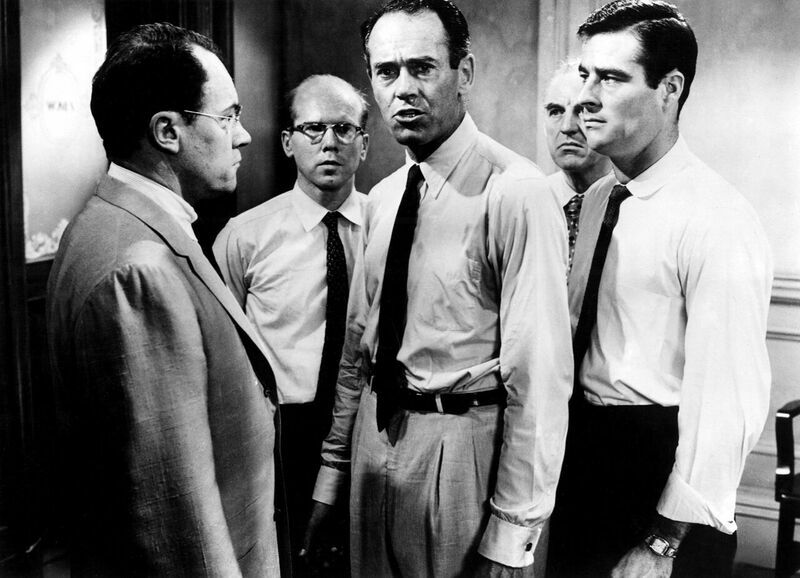 “12 Angry Men” is an electrifying look at the American legal system, and it’s more impressive when you consider it was the first feature film Sidney Lumet ever made. It’s held a beloved spot in The Criterion Collection for several years now, and readers still adore it. Much of its power comes from Lumet’s visionary eye, which turns Reginald Rose’s teleplay into a cinematic chess game between 12 white jurors who must decide the fate of a Puerto Rican teenager charged with murdering his father. Every angle and every shot brings us one step closer to each juror and his relationship to the next. It’s directing of the highest order. Few films make your blood boil quite like Spike Lee’s racial drama “Do the Right Thing,” which ingrains itself in your subconscious and rattles you so much that it’s impossible to let it go. An immersion into the racial divide of 1989 Brooklyn (and America, for that matter), “Do the Right Thing” sports colorful characters, memorable monologues and a simmering tension that matches the setting’s scorching hot climate. Spike Lee forces you to wake up to the issues around you, and “Do the Right Thing” hasn’t stopped being relevant ever since. 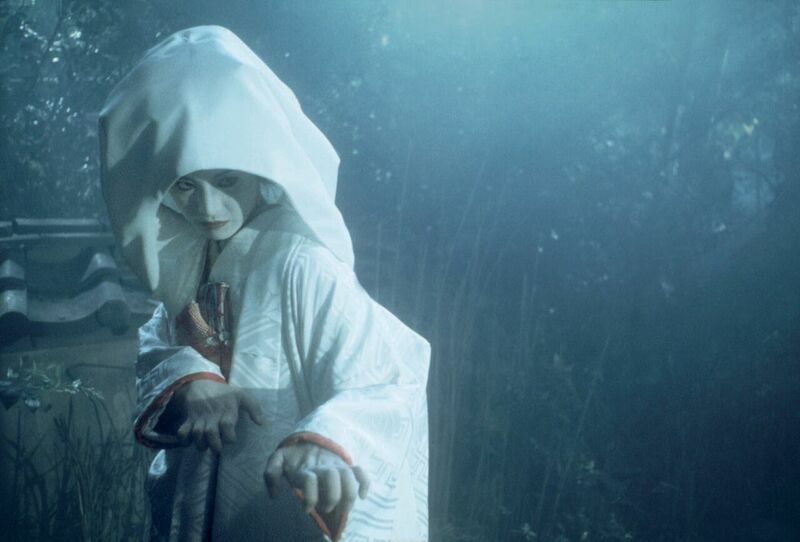 Japanese horror film “House” isn’t exactly a title you’d expect to see on a list of beloved films, and yet its iconic Criterion cover and Blu-ray transfer has turned this cult foreign hit into a massively popular Criterion fright fest. Nearly impossible to describe but excruciatingly terrifying all the same, “House” follows a young school girl and her six friends as they visit her aunt’s home and come face-to-face with supernatural horrors. Obayashi’s ghoulish visions take the form of collages, animation and a demonic house cat. It’s a hallucinatory trip to hell that’s impossible to forget. Available to watch now on FilmStruck. Like “The Seven Samurai,” Wong Kar-wai’s evocative “In the Mood for Love” is a staple of personal Criterion collections, so it’s no surprise to see it show up here. Movies rarely visualize the intense and exotic connection of romance as Kar-wai does here. He intoxicates his actors in seductive lighting and dark shadowy corners where their forbidden love takes shape. As far as atmosphere goes, consider this one of the sexiest films ever made. Available to watch now on FilmStruck. No list of Criterion favorites is complete without Ingmar Bergman, and while many readers threw themselves behind classics like “The Seventh Seal” and “Wild Strawberries,” it was ultimately the fascinating identity drama “Persona” that walked away with the most votes. The film was the first of many collaborations between the director and Liv Ullmann, who plays a mute stage actress being cared for by a young nurse (Bibi Andersson). Staying in a remote cottage, their identities begin to mold, and the two mesmerizing performances are matched by some of the greatest visual poetry Bergman ever brought to screen. Available to watch now on FilmStruck. Stanley Kubrick’s political satire only joined The Criterion Collection back in June of this year, but it’s a testament to both Kubrick’s side-splitting screenplay and Peter Sellers’ iconic multi-performances that the film is already a staple of the library. Through memorable characters like Royal Air Force Captain Lionel Mandrake, the inept U.S. President Merkin Muffley, and the wheelchair-bound presidential adviser Dr. Strangelove (who has a secret Nazi past, of course), both Sellers and Kubrick cut to the heart of Cold War anxieties and deranged political communication (which makes it so timeless it hurts). With “Dr. Strangelove,” Kubrick proves he’s as much a master ironist as he is visual auteur, and it’s that pitch black comedy that will forever keep us laughing on edge.